New Zealanders have always liked a bit of a laugh. 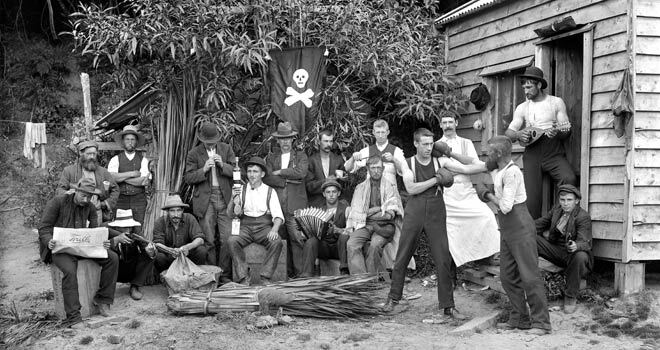 These jokers are taking a break from work at the Prouse and Saunders flax mill at Whanganui Inlet, north-west Nelson, and posing for a comical group portrait. Isolated work gangs such as this one provided much of the basis for New Zealand's brand of humour.